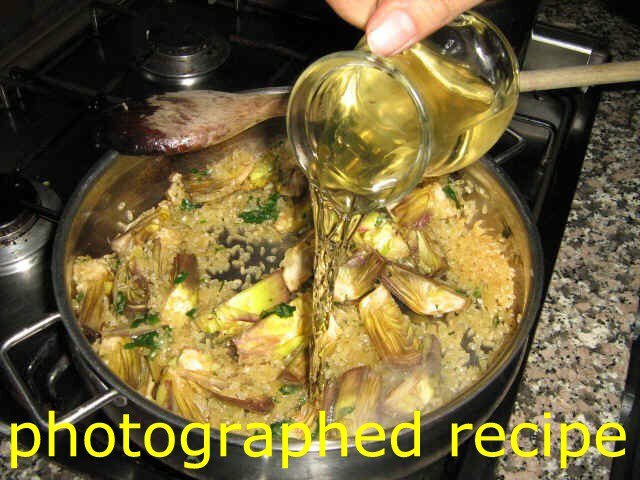 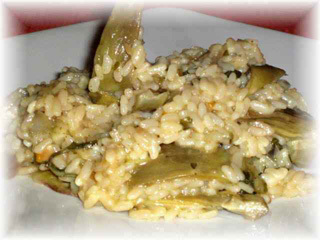 The risotto with artichokes, a great classic recipe of Italian cuisine. 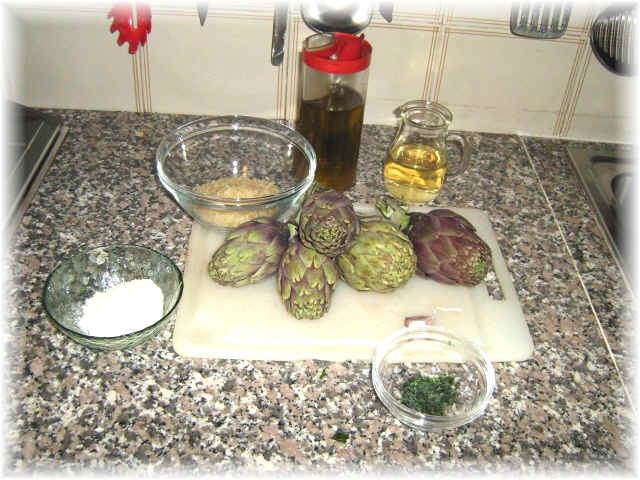 Perfumed, flavoured and easy to make it is a recipe suitable either for an elegant dinner or for a daily meal. 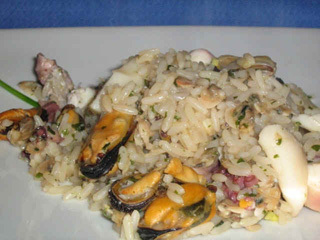 Notes to the recipe: For a good result you can use every qualities, both spined and purple color (margherite romane) in Italy: the most important is that they must be fresh, in other words thick and without "beards" in their heart.From their quality depends also the price: the more are fresh the more product you use.